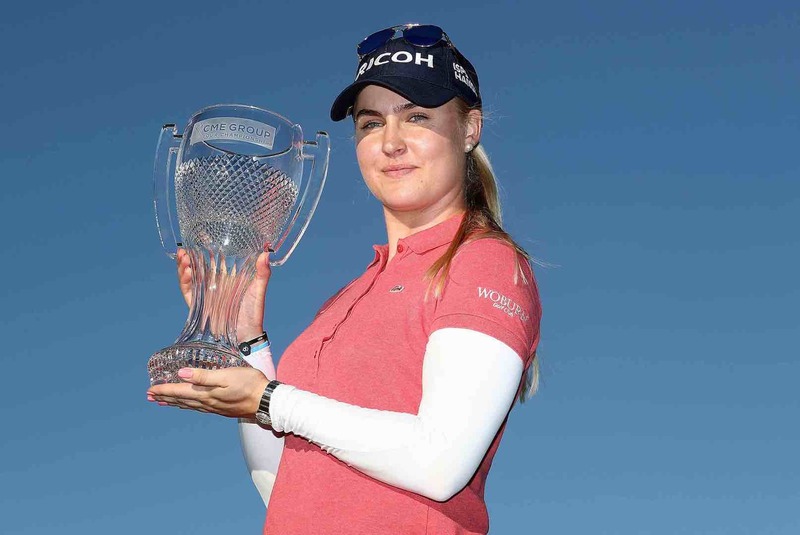 Charley Hull won the LPGA season-ending CME Group Tour Championship with a two-shot swing at the 17th on Sunday to 'blouse' $500,000. Nice work Charley! Thailand’s Ariya Jutanugarn also secured a $1 million-dollar bonus and Player of the Year status. 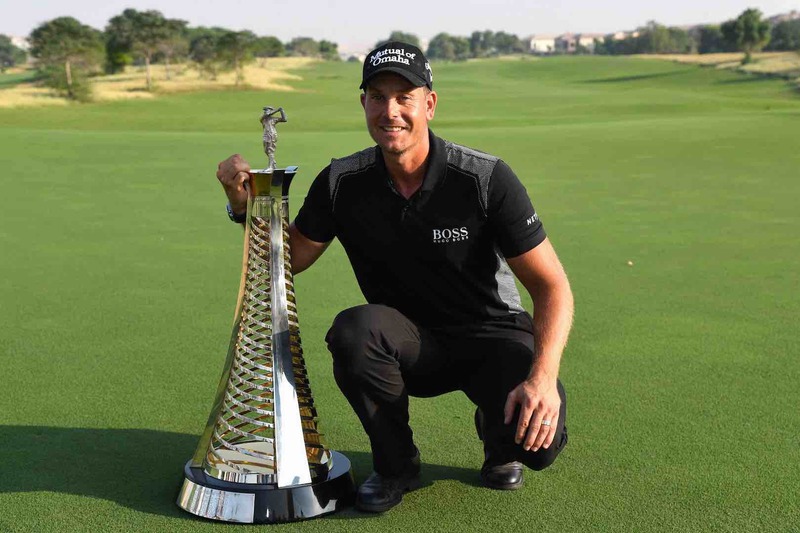 Hull shot a six-under-par 66 to beat Ryu So-yeon of South Korea (67) at Tiburon Golf Club in Naples, Florida. 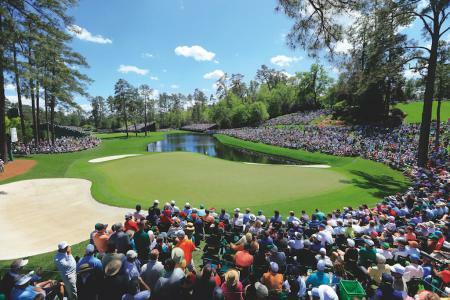 Charley was tied with Ryu on 18-under heading to the penultimate hole where Hull birdied the par-five, while Ryu took a bogey after having to hit out sideways from a greenside bunker. Jutanugarn, who has won five times this season, shot 69 to finish in a tie for fourth at 14-under-par and claim $1 million for winning the Race to the CME Globe bonus. 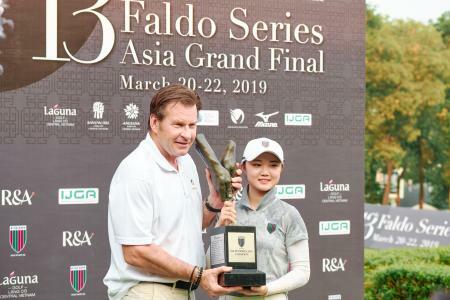 The 20-year-old Thai also won the Player of the Year award ahead of world number one Lydia Ko of New Zealand, who posted a final-round 72 for 11-under 277. Rookie of the Year Chun In-gee of South Korea finished with three birdies, the last one nudging her ahead of Ko to win the Vare Trophy for lowest scoring average with 69.583 to 69.596. But what a big step forwards for Charley! It’s a massive payday for all the hard yards, and a fantastic platform to go onto her next victory. Job well done!